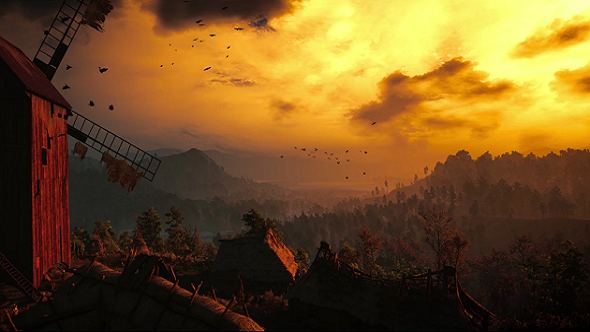 My Geralt had a lot of time for sunsets. He’d pull up on his not-so-trusty steed, Roach, and stare out across a lake – basking in the orange glow and watching the trees sway in the savage winds, taking it all in. Even monsters weren’t really a distraction. I’d imagine him thinking: fine, murderous group of drowners, I’ll lop off your limbs, but make it quick – I want to watch the sun as it ducks behind the horizon. 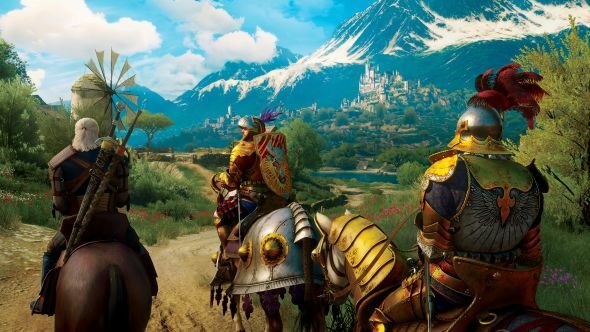 For more like The Witcher 3, check out our list of the best RPGs. It was the end of the world, but my Geralt was a tourist. You wouldn’t think it from his ghostly complexion, but his travels across war-torn Velen, his visits to bustling Novigrad, and even his boat trips to craggy Skellige were just one big jolly. Don’t even get me started on when he trekked to the vineyards of sunny Toussaint, taking in the grandeur of its duelling peaks, or admiring the Disney-esque architecture of Beauclair Palace. The witcher funded these trips with monster contracts. Whenever there was an option to not take the coin for his gruesome labour my Geralt scoffed at the very thought. Imagine being that good with a sword and not rinsing peasants for every penny they have. Maybe he’d even use his sign powers to bend their minds to his will and squeeze out a few extra florens. Yes, you’re safe from the monsters, but you’re probably not going to survive the winter. Sorry – I’ve got massive, abandoned siege towers to stare at. Monster hunting was a means to an end, and it obviously helped that Geralt had some holiday moments that would stay with him forever. Remember that time you freed the vengeful spirit from the tree and it murdered an entire town, Geralt? Good times. He probably has a collage of photographs stuck to the wall in his Toussaint holiday home: the Bloody Baron swinging from a tree; undead babies; Roach walking on thin air; Gaunter O’Dimm spooning someone in the eye. But when it came to a contractor who said they could pay in a few days, Geralt would just kneel on the floor and sit, meditating the days away until his payment was due. Despite seemingly having all the time in the world, there’s one thing my Geralt didn’t have time for at all: Gwent. When there’s so much beautiful destruction to admire, as well as the threat of an impending apocalypse, and the hunt for a lost, dimension-hopping daughter, Geralt just couldn’t be arsed with playing cards. Eventually, every quest available on the Continent was completed, but those Gwent challenges remained, clinging to the quest page like monster blood on a silver sword. According to GOG Galaxy, I’ve played The Witcher 3 for 130 hours and 18 minutes. At a guess, about ten of those minutes were spent in Gwent, if only to remind myself that there’s some amazing scenery I could be slowly panning a camera around instead. 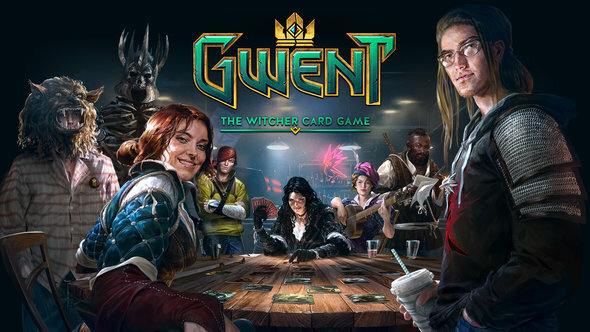 To me, Gwent was an unneeded distraction, pulling me out of the incredible world CD Projekt Red crafted, taking me away from the amazing stories, those unforgettable holiday memories. That’s why standalone Gwent is perfect. I can finally get stuck into The Witcher 3’s card game without feeling like I could be doing something better, something more meaningful. Not only that, but it has a story. In fact, CD Projekt Red say that it’ll have a 15-hour campaign that features as much dialogue as The Witcher 3’s Hearts of Stone expansion. That seems like a more worthy distraction than sitting in a tavern when I could be out earning coin and taking in the view.